If you are looking for a reliable, professional dog walker to exercise your dog, and you live in the Shenfield, Brentwood, Warley, Ingrave, Billericay, Ingatestone and Blackmore areas, or surrounding villages, please get in touch. I offer a reliable, professional and above all friendly dog walking service, and can give your dog(s) the exercise and fresh air that helps keep them stimulated and happy. I am a professional dog walker in Shenfield, Brentwood. I cover a relatively limited area of Essex, which allows me to be more flexible and able to accommodate even last minute bookings. I also offer dog homestay boarding. Dog homestay boarding is an alternative to leaving your dog in a boarding kennels. For more information or to arrange a meeting please get in touch today! 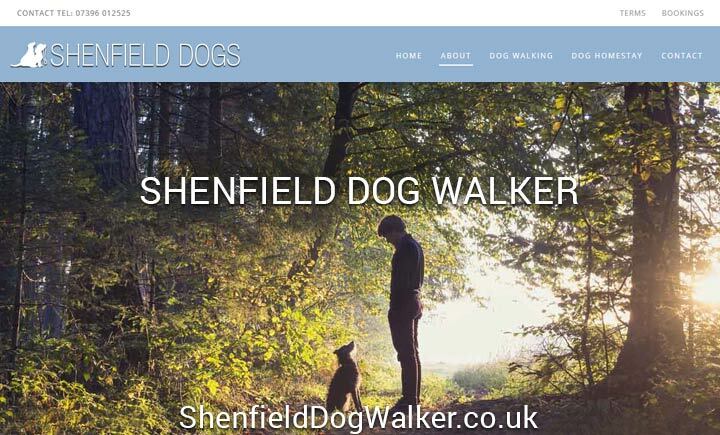 Shenfield Dog Walker also covers Hutton, Brentwood, Billericay, Ingatestone, Mountnessing, Blackmore, Ingrave.